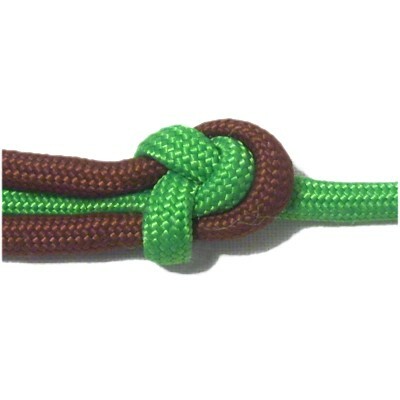 The Sheet Bend is a Figure 8 Knot tied around another cord. 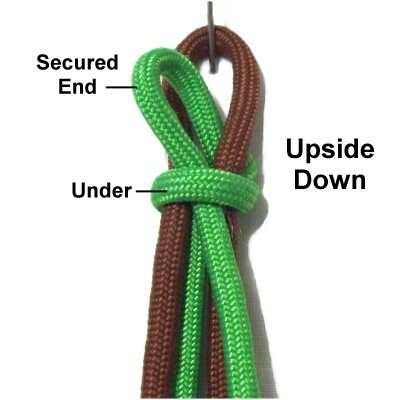 It's similar to the Linked Overhand knots, and is a great way to connect two cords. One of the cords forms an adjustable loop, so this knot can be used for jewelry, belts, and similar projects that require a clasp. 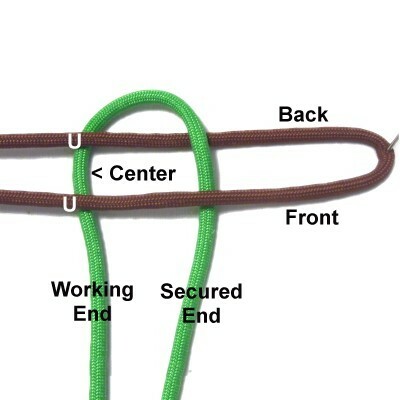 It can also be used as a mounting technique using the loop as a picot. The standard tightening (image above left) will result in three ends heading one direction and one in the opposite direction. When tightening it with a loop (image above right), you can adjust one end so it rests with the other three. To practice, you need two cords at least 18 inches long. It's helpful if they are different colors. Step 1: Fold one cord in half and secure it horizontally on your board. The center fold should be on your right. Mentally label it cord A. Step 2: Slide the other cord through cord A vertically, passing under - over the two segments. Mentally label it cord B, and secure the portion closest to the front of your board (secured end). Step 3: Start a counter-clockwise loop by moving the working end of cord B forward (towards you), passing it under both halves of cord A. Adjust cord B so the center of it rests between the two halves of cord A. 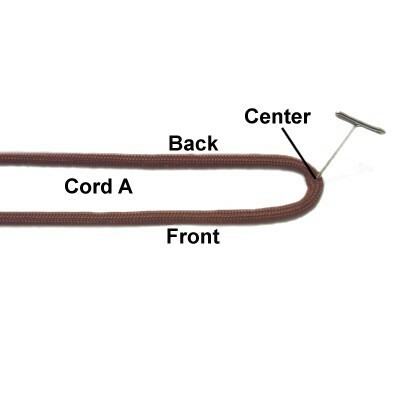 Step 4: Complete the loop by passing cord B over the front half of cord A, and under cord B. Step 5: Curve the working end of cord B to the right, then back to the left. 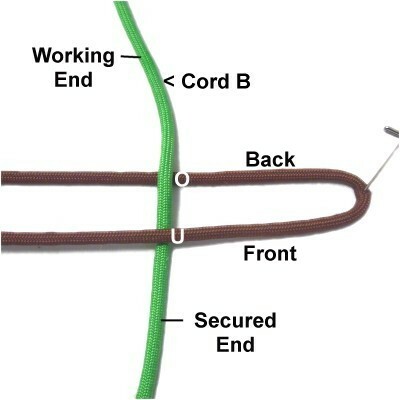 Follow the shape of the folded area of cord A, so that cord B nestles inside it. Pass over the secured segment of cord B. Step 6: Move the working end of cord B further to the left, passing under - over the two parts of the loop. Move the secured end of cord B horizontally to the right. Tighten the knot slowly, until it's firm. 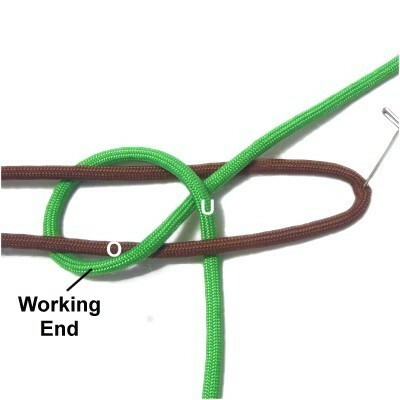 To use the Sheet Bend as a clasp, complete the next step to make a loop. 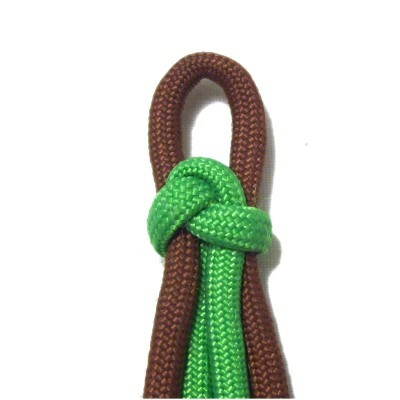 Turn the knot upside down so you can see the back of it. Pull on cord A to make a loop, adjusting it to the size you need. Pass the secured end of cord B under the loop, so it rests vertically with the other cords. 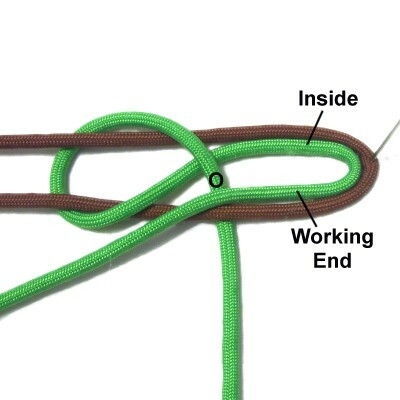 This is what the completed knot will look like with a loop at the top. Remember that it's adjustable, so cord A will need to be used for other knots if you want to prevent it from moving. 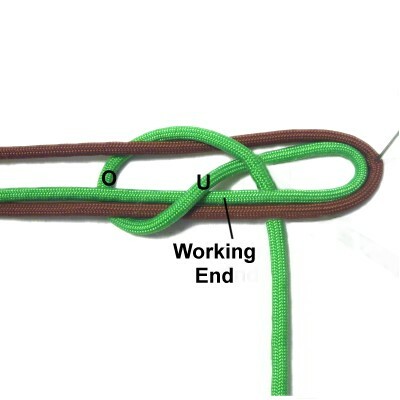 Have any comments about the Sheet Bend? Contact Me.